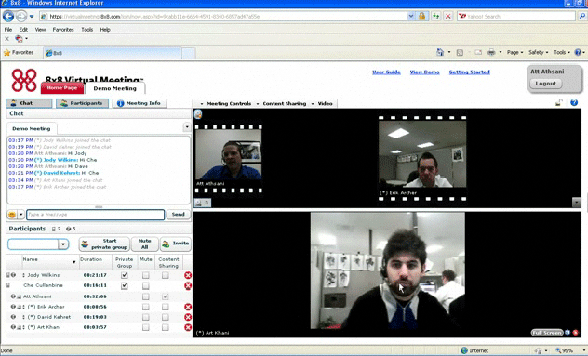 8×8 Virtual Meeting is a browser-based solution, requiring no software to download. As such, only a web browser and a telephone are required to use 8×8 Virtual Meeting and no plug-ins, downloads or hardware is necessary. 8×8 Virtual Meeting is an ideal solution for any business with customers around the United States and across the globe. 8×8 Virtual Meeting is a flexible web conferencing solution that is simple to use and affordable. The platform enables users to meet with customers and colleagues from anywhere around the globe, hold demos and sales presentations and conduct webinars and webcasts. 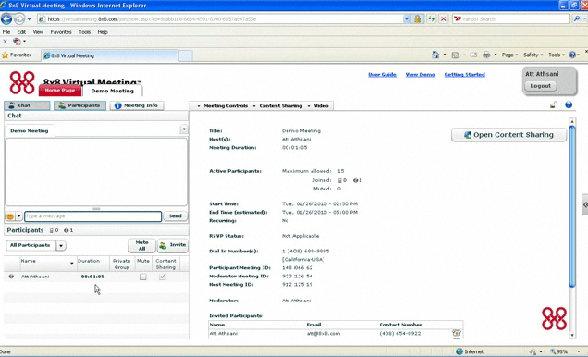 As an online application, accessing and managing online meetings require just a few clicks. The software is up to 30% less than other popular web conferencing solutions, but is built with comprehensive features to answer the web conferencing needs of any business. Founded in 1987, 8×8 provides affordable communications solutions to small to midsized businesses and large distributed enterprises. 8×8’s portfolio of products encompasses VOIP phone service, contact centers, hosting, video conferencing and unified communications solutions, backed by technology owned and operated by 8×8. 8×8 is committed to providing innovative solutions that deliver quality, reliability, and robust performance—all at an affordable price that is accessible for businesses of all sizes. 8×8 also provides Virtual Room as a solution for video conferencing needs.